You may have never heard of the “Chork,” but the Chork has heard of you. It knows you’re an American who falls into one of three categories: 1) You have no idea how to use chopsticks; 2) You know how to use chopsticks but often prefer a fork; 3) You’re proficient with chopsticks, but you’re still American, so there’s no point in pretending you don’t use a fork for every non-Asian meal besides soup. 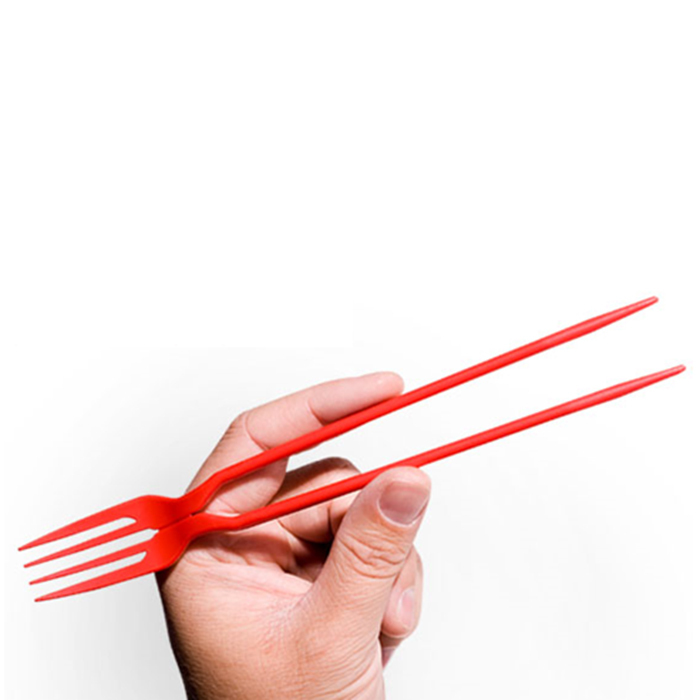 That’s the beauty of the Chork, a plastic utensil that can be used as a fork on one end or broken apart to use as chopsticks on the other: It provides both options for all people. The Chork brand fork-chopstick hybrid has been around for some time. (For example, Amazon lists the product as being sold since 2011), but the company is possibly poised get a big boost by another brand that melds American and Chinese culture: Panda Express. According to a tweet from Nation’s Restaurant News’ Lisa Jennings, America’s largest Chinese fast food chain has hinted that it “is considering a move toward the ‘chork.’” The news comes as a part of Panda Express’s other big announcement this week that it has finally added General Tso’s Chicken to its menu. (No, they didn’t have it before; you’re thinking of their Orange Chicken – or possibly you’re not thinking of Panda Express at all.) A photo accompanying Jennings’ tweet shows Chorks stuffed in Panda Express General Tso’s Chicken boxes. So at this point you could say “to Chork or not to Chork, that is the question.” However, if internet buzz is any indication, it appears people want more of the Chork. Hopefully Panda Express takes the Burger King route and gives the people whatever the hell they want regardless of the sensibility of that decision.